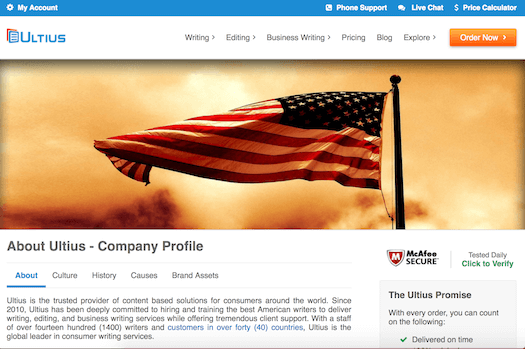 Ultius, Inc is a custom writing company which connects freelancers with customers for editing, essay and business writing services. Ultius, Inc corporation operates since 2010. They claim to have 1500+ contracted writers, clients in more than 50 countries around the world and 45 staff members, based in Las Vegas location. Boban Dedovic (https://www.linkedin.com/in/bobandedovic), Chairman & Chief Executive Officer, says the main goal of Ultius is to provide students with high-quality writer services and world-class customer support. Read my Ultius review to learn what kind of features you can expect, prices, content quality and customer care nuances.